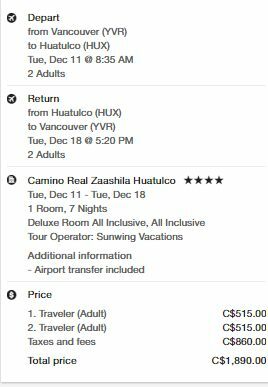 The Sunwing flights included with the package from Vancouver to Huatulco, Mexico are non-stop on the way down, with 1 stop in Victoria on the way home. From Victoria, the flights have 1 stop in Vancouver on the way there, and are non-stop on the way home. 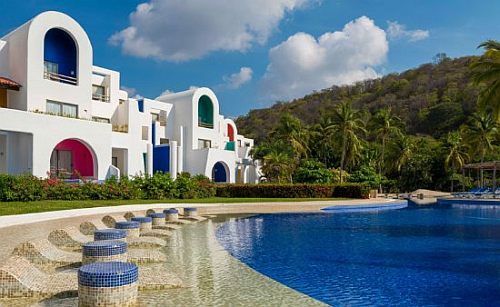 vancouver, yvr, mexico, huatulco, hux, all inclusive deals, north america, sunwing vacations and camino real zaashila.